Kysilevska, Olena [Кисілевська, Олена; Kysilevs'ka; née Сіменович; Simenovych; pseudonyms: O. Halychanka, Kalyna, Neznana], b 24 March 1869 in Monastyryska, Buchach county, Galicia, d 29 March 1956 in Ottawa, Ontario, Canada. Editor, community activist, and writer. 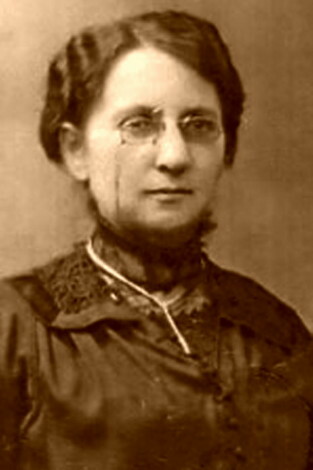 She became active in the Ukrainian women's movement as a gymnasium student in Stanyslaviv when she joined the Society of Ruthenian Women organized by Nataliia Kobrynska in 1884. She began publishing short stories and articles on education and women’s rights in almanacs and journals in 1910, and from 1912 she edited a women’s page in the newspaper Dilo. During the First World War she was a member of the Red Cross relief committee for prisoners of war and the wounded in Vienna. After the war she became a member of the executive of the Union of Ukrainian Women in Lviv. 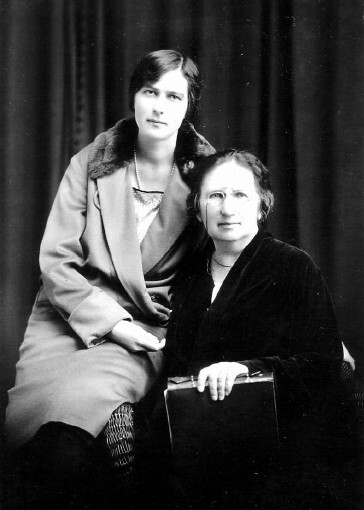 In 1925–39 she published and edited the semimonthly Zhinocha dolia in Kolomyia. She traveled extensively throughout Western Europe and North America (1924), participating in the international women’s movement and organizing Ukrainian women’s organizations. Several of these trips were described in the travelogues Lysty z-nad Chornoho moria (Letters from the Black Sea Coast, 1939) and Po ridnomu kraiu (Around My Native Land, 1951). She was an active member of the Ukrainian National Democratic Alliance and was elected to two terms in the Polish Senate (1928–35). From 1935 she headed the women’s section of the Silskyi Hospodar society in Lviv. After fleeing Ukraine during the Second World War, she lived as a displaced person in Western Europe until she immigrated to Canada in 1948 and joined her son Vladimir Kaye-Kysilewsky. That same year she was elected the first president of the World Federation of Ukrainian Women's Organizations, a position she held until her death. Her personal archive is now located in the Public Archives of Canada and its holdings are described in a research report, The Olena Kysilevska Collection (1985), published by the Canadian Institute of Ukrainian Studies.